Money management is the process of managing your money so that you are able to secure your future. Money management is the process of managing your money so that you are able to secure your future. Money management includes some basic steps and you need to be sure and careful while following those steps. This is especially when you are just a beginner in the financial field and want to start your life in the most perfect way. The most important step is to have the basic knowledge of money management. It includes budgeting, savings, banking, investment, taxes and so on. You need to spend your money according to your budget and affordability. 1. 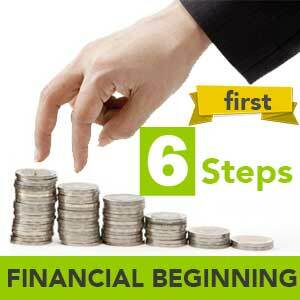 Budgeting - Budgeting is the most important step included in your money management strategies. It helps you to keep a track of your income and expenditures. As you start keeping a track of them, you may be able to find out that you are expending some extra money on some unnecessary things. Thus, this may help you save some money and also stay within your affordability. 2. Savings - As you budget, as said before, you will be able to save. Other than saving money through budgeting, you should also make it a point to keep away some amount of your money into a savings account. This helps you to secure your future. You can also maintain a separate emergency account in order to use money from that during emergencies. Thus you can stay financially strong if an emergency happen in your life. 3. Banking - Banking and savings go hand in hand. If you want to start saving, you will have to involve in banking. So, start a savings account and an emergency account. You can also create a small and separate account for your indulgences. Sometimes, it is healthy to give in to your indulgences. But, this should be only once or twice in 6 months. 4. Investment - You can also invest some of your money. This helps you to earn some extra money. You can use this money for your debt payments. There are various kinds of investment vehicles. It is important for you to first have some knowledge on investment vehicles before actually investing your money. 5. Taxes - It is also essential for you to manage your taxes from the beginning so that you can avoid debt hassles. It is better to avoid tax debt and file your taxes in time. Otherwise, you may even get penalized. In addition, you should also try to find out your tax exemptions. 6. Credit - It is a well known fact that you can't avoid credit cards, But if you can't avoid impulsive buying or leading an extravagant life, then you're heading yourself toward the credit card debt. You can help yourself by spending less or paying bills on time or simply giving attention to your credit score. If needed, you may have to improve your income if you are unable to manage your money. If you think that your income isn't sufficient to sustain, then you shouldn't lead a lavish life. Try to live within your means. It is always better to have additional means of income to have a secured financial future and happy life as well.